At least 147 people have been killed in an attack by al-Shabab Islamist militants on Garissa University campus in north-eastern Kenya, Kenyan government officials say. The operation to secure the Garissa University College campus was now over, with all four attackers killed, they added. Officials said 587 students had been evacuated, 79 of whom were injured. An overnight curfew is being implemented in parts of Kenya. Nine critically injured students were airlifted to the capital Nairobi for treatment, they added. Each student had been accounted for by the end of the evacuation. Masked gunmen stormed the university early on Thursday morning and took hostages. UN Secretary-General Ban Ki-moon condemned what he called a “terrorist attack” and said the UN was ready to help Kenya “prevent and counter terrorism and violent extremism”. The US said it was offering Nairobi assistance to take on al-Shabab and would continue to work with others in the region to take on the group. Mohamed Kuno was headmaster at an Islamic school in Garissa before he quit in 2007. Kenyan President Uhuru Kenyatta offered his condolences to families of the victims and ordered “urgent steps” to ensure police recruits could begin training immediately. 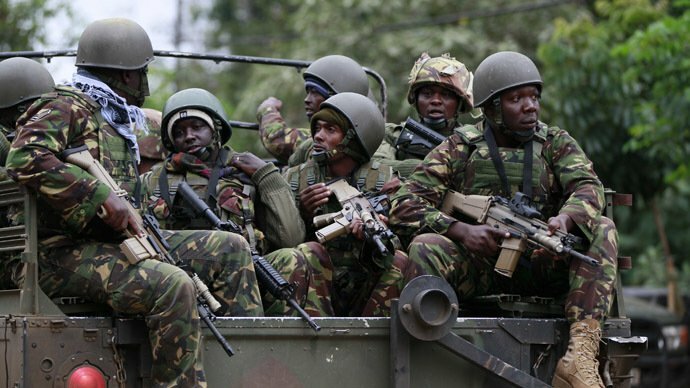 “We have suffered unnecessarily due to shortage of security personnel,” Uhuru Kenyatta said.